Are There Really Benefits to Coconut Oil Pulling? Can coconut oil pulling in the morning really give you a stunning smile? Let’s look at the history and science. 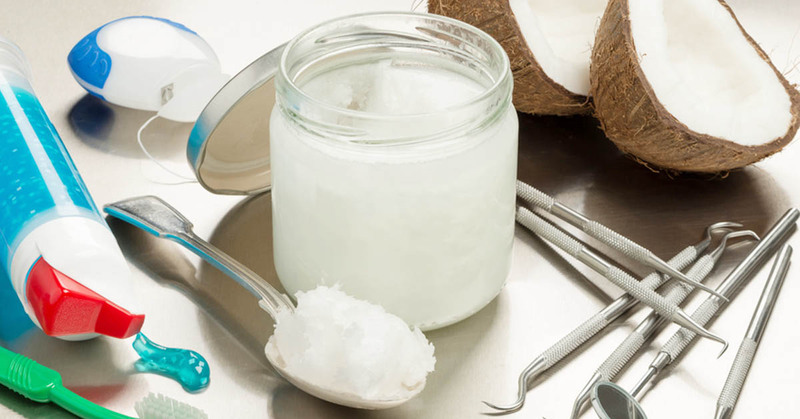 Coconut oil pulling has ancient origins, with a story that needs telling. Is it relevant for healthy teeth today? Or is it an old wive’s tale? While oil pulling isn’t a new practice, it was only introduced into Western society about 20 years ago. The idea of swishing a mouthful of oil around to cure diseases might sound strange, but this simple practice could improve your overall health. Let’s get one thing straight, when you treat your mouth, you’re also treating the whole body. Ayurvedic medicine has used oil pulling for centuries to manage the build-up of oral impurities. Toxins and bacteria naturally build up in the mouth, causing a number of health issues when left untreated. It’s the general way that dental plaque can cause disease in the mouth. Oil pulling was used in the oral cavity to literally “pull” the toxins and bacteria out of your mouth. The toxins stick to the oil and when you spit it out, you’re creating a clean environment needed to prevent cavities and other oral diseases. In India, where this procedure originated, oil pulling is referred to as Gandusha or Kavala Graha. These are the two forms of oil pulling that are often mentioned in ancient Indian texts. The process of performing Gandusha involves filling the mouth completely with oil so that swishing is impossible. The oil is held in the mouth for 3 to 5 minutes and then released. The traditional Kavala Graha practice includes having a comfortable amount of oil retained in the mouth for 3 minutes, gargled, and then the oil is released. Modern oil pulling techniques have been adapted from the traditional methods of Gandusha and Kavala Graha. 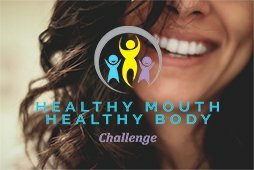 Oil pulling is an oral detoxification technique used for thousands of years in Ayurvedic medicine. It’s recommended to use coconut oil, sesame oil or olive oil and swish it in the mouth (like mouthwash) for 10 to 20 minutes and then spit it out. For oil pulling, it’s recommended to use pure, unrefined coconut oil because it doesn’t have any other additives and it hasn’t been processed. Using high-quality and organic oil in the mouth is critical to achieve favorable results from this practice. Is There Scientific Evidence to Support Oil Pulling? Oil pulling is said to cure over 30 systemic diseases when practiced regularly and as directed. It comes from a natural and holistic system of medicine formed 3,000 to 5,000 years ago. Although oil pulling isn’t fully recognized yet by most of Western medicine, it’s becoming more appreciated and understood. There are no known risks associated with oil pulling. However, this technique isn’t scientifically supported and currently shouldn’t replace normal oral hygiene. The American Dental Association (ADA) reports that there isn’t enough evidence to support coconut oil pulling and its effects. The lack of scientific evidence for oil pulling means that there’s a direct need for future studies. Although there’s considerable gaps in research that would support coconut oil pulling, there has been a handful of studies conducted. One study found that oil pulling with sesame oil had positive results on oral health. 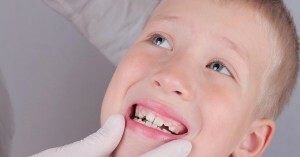 The subjects included had reduced plaque build-up, gum health scores, and lower counts of harmful bacteria. Two other recent studies, one in 2014 and another in 2011 have found that in the treatment of oral malodor, oil pulling is just as effective as chlorhexidine (antimicrobial mouthrinse). In these studies, they noted that oil pulling wasn’t a replacement for regular treatment of the disorder—but it worked just as well as chlorhexidine. The Dental Diet is about reacquainting ourselves with traditional food principles. I recommend adding coconut oil to your diet rather than just your dental hygiene routine. Adding coconut oil to your diet is a great way to increase your fat consumption to boost your body’s absorption of fat-soluble vitamins. Coconuts are a staple food in one third of the world but Western culture is only beginning to embrace them. Coconuts are sought after because of their versatility, nutritional value, and therapeutic properties. Coconut oil is uniquely made from a part of the fruit called the “copra,” also referred to as the meat of the coconut. In order to expel the oil, the coconut meat is pressed through a mechanical process. Countries that consume more coconuts are generally healthier. It assists in weight loss, especially in abdominal fat. It can kill harmful microorganisms and prevent infections. It improves blood cholesterol levels. It improves hair and skin. The fatty acids it contains can boost brain function. It’s an anti-inflammatory and improves arthritis. The list of potential benefits gained from using coconut oil is seemingly endless! This tropical oil is not to be overlooked. Although science and Western medicine hasn’t fully approved of coconut oil pulling, these ancient techniques need more attention and scientific research. In order to truly determine how effective oil pulling is, more studies need to be performed. Coconut oil pulling seems to be most effective when used as a supplemental treatment to regular oral hygiene. The methods of oral health that are tried-and-true shouldn’t be disregarded. Always continue to brush twice a day, floss daily, and attend regular hygiene visits when practicing coconut oil pulling. If you have any concerns or questions about your oral health, consult your dentist. If you want to experience a significant improvement in your oral and overall health, I always recommend increasing intake of full fat foods, like coconut oil. Coconut oil is an integral part of The Dental Diet because it strengthens teeth from within. Adding coconut pulling to your dental routine is great, but adding coconut oil to your diet is even better. Share this article with someone who would love to know what coconut oil pulling is and how it works! Now we want to hear from you. Please leave your questions in the comments below. 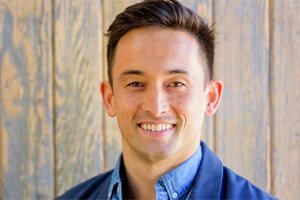 For more information on Dr. Lin’s clinical protocol that highlights the steps parents can take to prevent dental problems in their children: Click here. Want to know more? 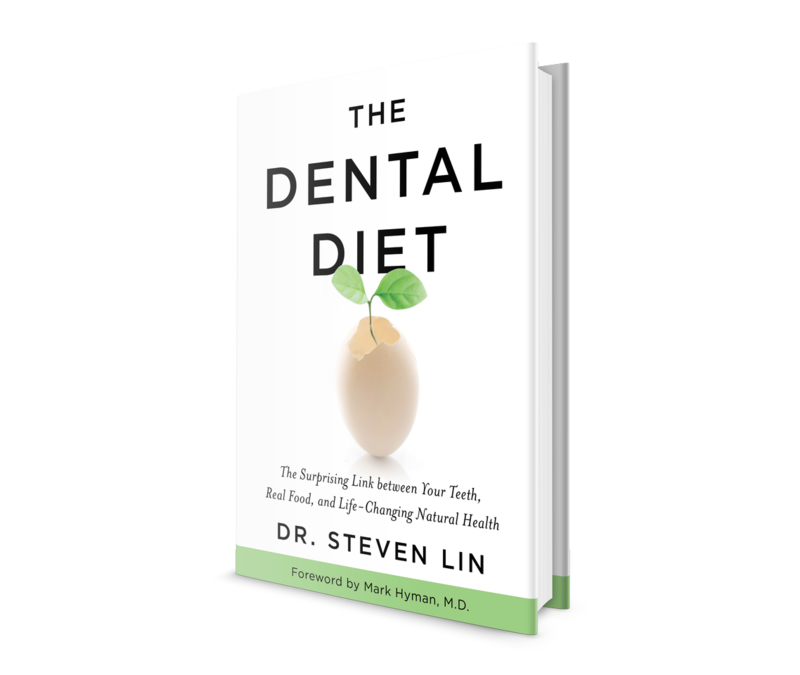 Dr Steven Lin’s book, The Dental Diet, is available to order today. An exploration of ancestral medicine, the human microbiome and epigenetics it’s a complete guide to the mouth-body connection. Take the journey and the 40-day delicious food program for life-changing oral and whole health. Do you find oil pulling is safe even for people with lots of dental work? I’ve read in blogs speculations that it can be dangerous for those with mercury fillings, etc. What about people with bridges? Thank you for posting this. I’ve been looking for a dentist’s view on this forever! There’s no data to test how it affects bonding or dental restorative materials. With bridges and other fixed restorations, you may want to check the adhesive that the dentist has used, then find specific indications with fat-soluble substances. Oil pulling is safe for me because it is well known from organic made materials which are already been proved by some of the medical Doctors. There’s nothing to worry about using it because it’s totally safe base on my experienced. Dr. Lin, would daily oil pulling cause an adverse detox reaction when you have many Mercury fillings? After a week of oil pulling, I developed a skin issue on my throat. After stopping, it disappeared. Would oil pulling every other day reduce the possible consequence of adverse detox? Thank you for your comments. I’ve read that oil pulling removes bad bacteria but also the good bacteria thus messing up the oral microbiome. Have you found this to be true? Why do we have to do the pulling in the morning on an empty stomach? I prefer at night but want to make sure I am not doing some that could harm me. Thank You. In how much time does it actually show the result? I am a dentist. Know over 35 years. Some of you are asking questions. Perhaps you might gain ” enlightenment” about gum disease by reading this long story. I had never heard of, or been taught anything about oil pulling, in dental school or since at dental seminars. About 5 years ago, a patient asked me about “oil pulling”. I was intrigued. I went home, but we didn’t have any coconut oil. So, I put a dessert spoon of olive oil in my mouth. It was really hard to override the reflex to spit it back out. However, I thought about the process and started to look into it. You have to use coconut oil. It is a tried and true ancient method to look after teeth. Thousands of years before “Listerine”. The fatty acids in coconut oil are medium chain fatty acids (MCFAs). Important MCFAs present in coconut oil are lauric acid, capric acid, and caprylic acid. These fatty acids are destructive of many pathogen bacteria, viruses and fungi. Coconut oil contains high levels of lauric acid. So this oil is has natural targetted effects on pathogens in the mouth and throat, and the entire Digestive Tract. ( The Digestive Tract starts in the mouth from sucking as a baby. The microbiome moves down to the stomach and into the Gastro Intestinal Tract aka ” The GUT “, from birth and breast feeding. Gut MicroBiome doesn’t exist in isolation from the mouth. The Digestive tract microbiome is diverse and starts from the lips. It is not ” The GUT Microbiome !!! “. tastes sweet and doesn’t tend to trigger a ” gag reflex”. has never heard of “crevicular fluid”. Crevicular fluid is a body fluid pushed out around the teeth all the time by the ” shock absorber” that holds your teeth into the bone of your jaws. ( Even Google spell checker has never heard of it ). When you do oil pulling, you are creating a ” suction ” that helps your teeth’s crevicular fluid do its job. That’s why “oil pulling” works. So, here is my REAL PATIENT story. I became the dentist ( aka Oral Health Professional ) for a woman who had most of her teeth, and did her best at home with brushing and sometimes flossing. She had been under the care of another Dentist and a Hygienist for over 10 years. She had dexterity, and was trying to do all the right things to look after her teeth. Her diet was low on cane sugar, and she brushed away all the soft plaque and used floss and “Piksters” to clean between her teeth. She was in her 70s. When I first examined her mouth, she had persistent gum disease. There was black hard calculus scale deep under her gums. In 10 years, no dentist or hygienist had ever removed it. so she had what in ” dental speak is called ” 5-8mm pockets”. Moderate to advanced gum disease and no-one had ever told her, or measured it, or effectively treated it. Really! A diligent patient who had paid good money to be looked after twice a year for a long time. I told her what I had found. We made some appointments to for the first time, get rid of the really hard black scale deep under her gums. Then, I thought ” how is this woman going to clean 5-8mm pockets at home”. So, I told her about oil pulling. Six 6 months later, she came in for her ” regular oral health maintenance and review”. There was NO plaque and NO Scale under her gums. and NO bleeding from any of the ” pockets”. 10mm had become 8mm. 8mm had become 6mm. I tested every pocket with an ultrasonic scaler and found NOTHING, and no bleeding. Sure, there was bone loss and recession damage, but her mouth was HEALTHY. I said ” What the oil pulling? Really! How often do you do that? She stated ” everyday, every time after I brush my teeth”. I told her that she had my ” Smile of the Day Award” and she was now my “pin-up girl” for oral health. I have seem this lady since several times. She doesn’t have “periodontal disease” anymore. Mostlty I just look around her mouth and marvel at the health benefits of daily ” oil pulling”. ps but make sure your dentist/hygienist has removed all the scale properly, ok! Is oil pulling safe for tooth enamel? I have done it and it definitely whitens teeth but does it wear the enamel down in the process? Find out more today . Start the 28-day challenge today! Is Vitamin D a Cure for Snoring and Sleep Apnea? © 2018 Dr Steven Lin. All Rights Reserved.